Today we will show you how to register/activate HDFC Bank net banking (Internet banking) facility online without visiting branch. HDFC customers can manage their bank account online through Internet banking and access banking services online. To use HDFC Net Banking facility, first you need to activate it. Don’t worry you can register for net banking online, no need to visit bank. After opening account in HDFC you will receive your welcome kit contains debit card, cheque book. For net banking online registration, you need active debit card with PIN and registered mobile number with bank account. To access HDFC internet banking you just need to generate IPIN. See how to generate IPIN. 2: In next screen, select “Authentication with One Time password (OTP) and debit card details” and click on continue. 3: Now enter your registered mobile number and click on continue. 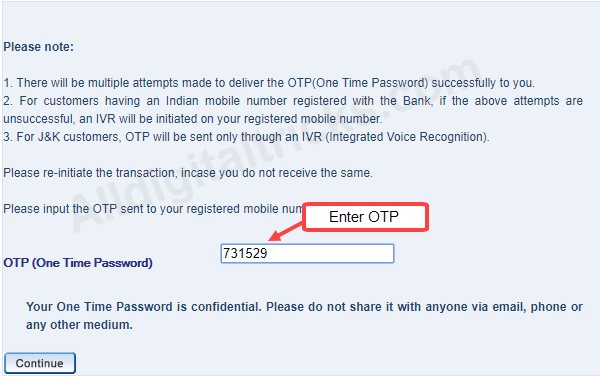 4: You will receive OTP (One Time Password) on your registered mobile number, enter it and click on continue. 5: Now select your debit card number which linked with your account. 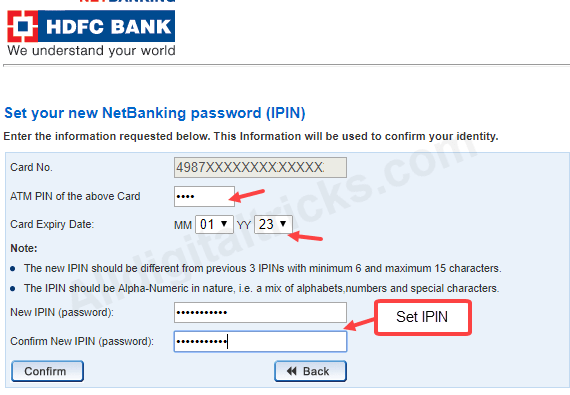 6: In last step, enter your Debit card PIN and expiry date. 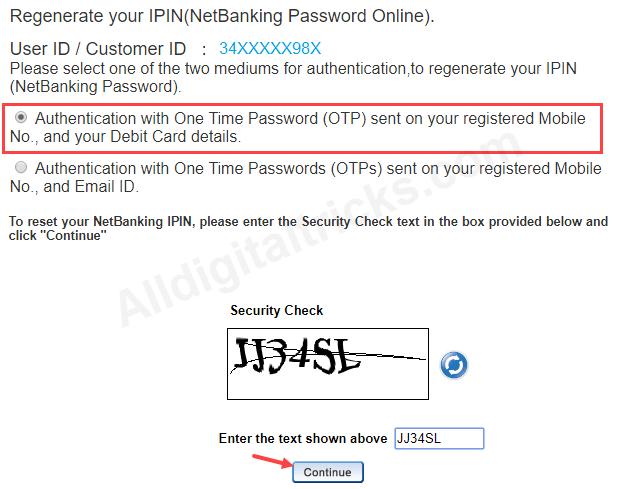 Set your IPIN (password), once again confirm it and click on confirm. That’s it you are successfully registered with HDFC Bank net banking facility. Now visit login page and enter your customer ID and IPIN to login your account. So this is how you can register/activate HDFC net banking facility. You can follow same steps when you forgot your IPIN. helo sir, is this the old method of registration? how about in 2019 hdfc netbanking registration? You can create new ipin using debit card, it is login password.